Today, we continue our expedition into the world of low sodium Hawaiian cuisine. But first, a spoiler alert: Friday brings a big bang of a recipe for drippy, delicious, fall-off-the-bone Char Sui Spare Ribs. So leave your restraint and dignity at the door and grab yourself a bib for this one. Until then, I’m tiding you over with some low sodium Island sides that are as essential to a complete Hawaiian meal as a tropical drink with a miniature umbrella. 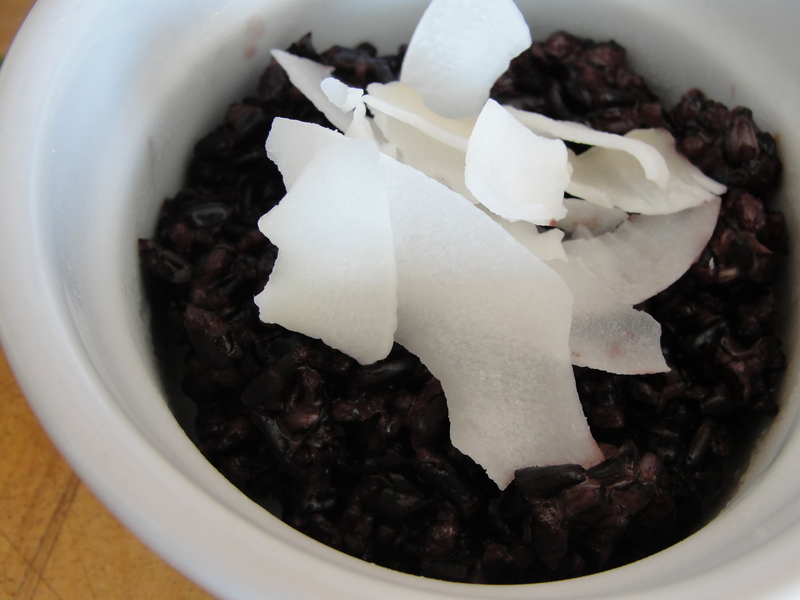 First, Coconut Black Rice, or as it is also called, “Forbidden Rice.” This black grain turns a deep purple when cooked for a long time and makes a striking companion with grilled fish, sauteed vegetables, or really, any meat. The coconut gives the rice a sweetness while the cardamom off-sets the sugar with its mild spice. And if you want to save this surprising flavor for the end of the meal, this dish also makes a nice dessert pudding. Second, we have Papaya Cole Slaw. Not exactly a “classic,” but this side is a fun twist on the ever popular papaya/lime combo. With the addition of chopped cabbage, some So Delicious Coconut Milk Yogurt, and diced pineapple, papaya and lime can also make a starring appearance on the lunch or dinner buffet. One light, the other hearty – these sides will complete any Hawaiian meal. So get the pots hot and chow on. 1. Combine water and rice in a medium saucepan. 2. Bring to a boil, reduce heat to maintain a gentle simmer, cover and cook until the rice has absorbed all the water, about 20 minutes. The rice should be cooked but still firm. 3. Bring the coconut milk to a boil in another medium saucepan. 4. Reduce heat to medium-low, add cardamom and sugar. Stir until the sugar and salt are dissolved. 5. Add half of the coconut milk to the rice, cook and cover until dissolved, 15 minutes. 6. 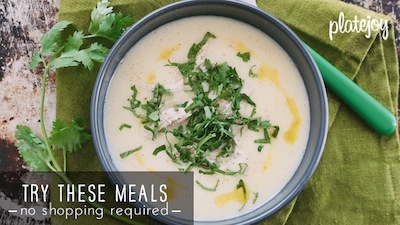 Serve with toasted coconut for extra flare. 1. 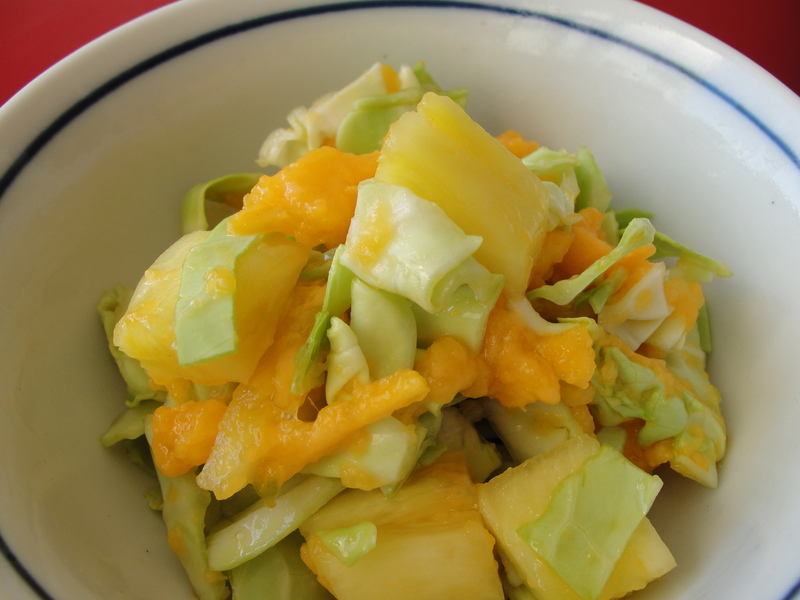 Combine fruits with lime juice and cabbage. 2. In separate bowl, mix yogurt, sugar, and lemon juice. 3. Pour yogurt mixture over cabbage and toss until well coated. Cover and chill. Tip: Use purple cabbage and thinly sliced red onion to add color, and top with nuts or sunflower seeds for some added texture. i am so excited- i love tropical fruit. 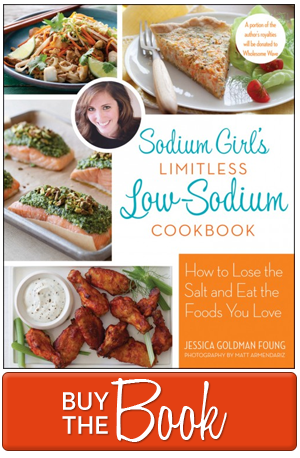 i’ve been experimenting with it lately (especially coconut) so i can’t wait to try this! I can’t wait to hear about your next tropical fruit adventure. Keep us posted.